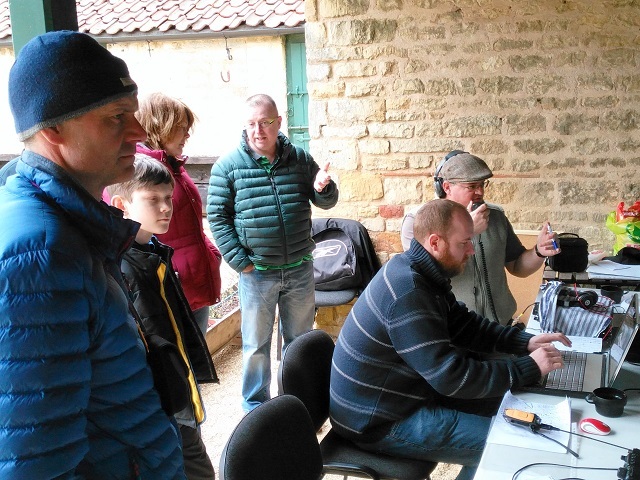 To help celebrate British Science Week 2017 South Kesteven Amateur Radio Society (SKARS) operated the special event station GB0WM at the birthplace and family home of Sir Isaac Newton. 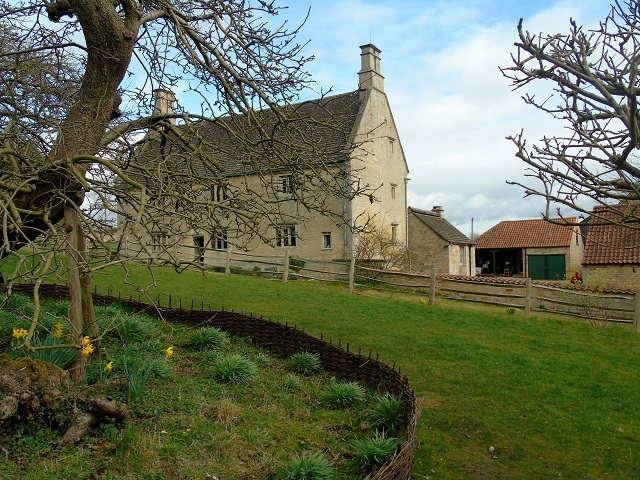 Woolsthorpe Manor in Woolsthorpe-by-Colsterworth near Grantham is owned and managed by the National Trust and is where Newton developed his theories on mathematics, light and optics. It is also the home of the famous apple tree which inspired his laws of gravitation and motion on which all space travel depends. Seeds from the tree were taken by Tim Peake into space on board the International Space Station during the ‘Principia’ mission and are now back on Earth ready to grown by school children around the country. 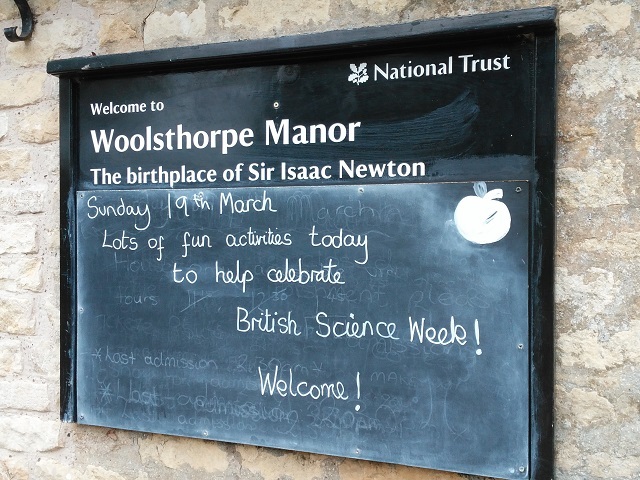 Woolsthorpe Manor held activities for visitors during British Science Week celebrating all that is best with British Science today and imagining what Newton might would be doing if he lived there today, culminating in a weekend science festival on the 18 – 19 March. As part of this festival SKARS operated the special event station hoping to introduce visitors to the fun and science of amateur radio as well as helping to promote this historic location. 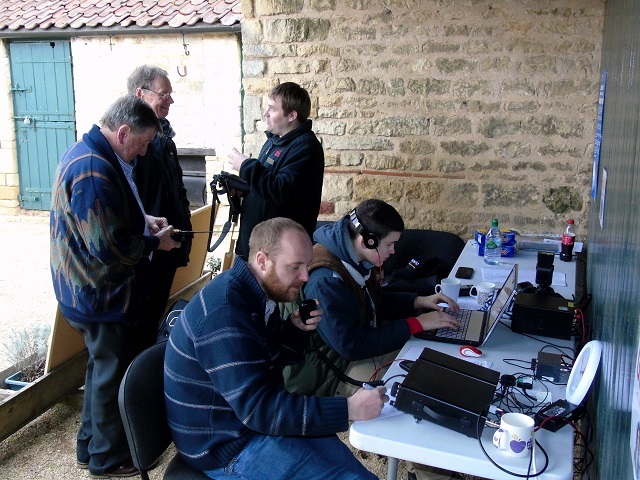 The radio station was setup in the main courtyard at the rear of the main house close to the Visitors Science Centre. The antenna system was mounted on a Land Rover military mast with a dual band vhf/uhf collinear and resonant wire dipole. The main radio was a Yaesu FT-991 operating principally on 40m. With a Yaesu FT-817 and Kenwood 707 for 2m and 70cm. SKARS were operating at just 100W but there were some problems with the Science Centre’s film theatre suffering break through on the sound system when transmitting but a mains filter and reducing transmission power slightly mitigated the issue. Conversely the numerous visitor audio-visual displays and other equipment generated significant local noise when turned on which made operating weak stations difficult when combined with the noise and splatter from another weekend contest on the bands. Saturday started sunny but windy and some heavy prolonged rain showers in the afternoon kept visitors numbers down. Sunday was dry and sunny and proved extremely busy with several hundred visitors during the day. The wind was a lot stronger so the mast was not as high but a change to an off-centre fed dipole allow operation of other bands. As it was still on winter opening hours the Manor was only open for four hours each day and despite being a challenging environment the operators managed regular contacts into Europe and some UK stations when propagation allowed. Making well over 100 contacts mostly on the second day. Many members of the public came over to visit and enquire about what SKARS were doing and they explained the theory and practical elements of operating radio systems. Unfortunately due to the slightly exposed position and the weather operators were forced to sit with backs to the general public to protect the equipment and the various display boards had to be taken down due to the strong wind. Therefore a less passive role was adopted and members actively went out to engage with the public and the military Land Rover proved a draw to inquisitive visitors. Information leaflets and badges for the children supplied by the RSGB were gratefully received. 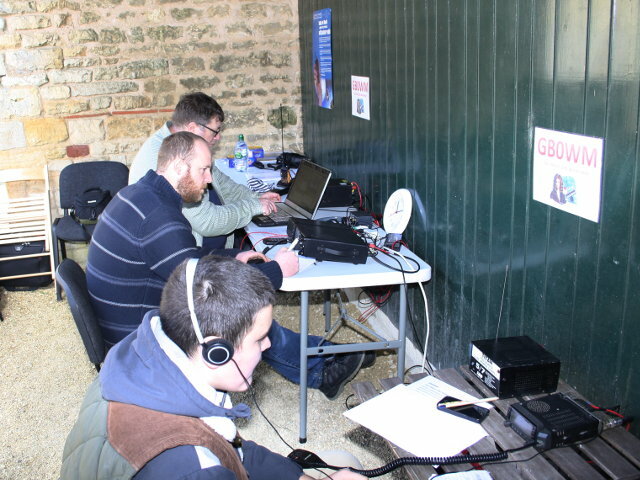 A surprising number of lapsed amateurs and ex-military radio operators came along who were seemingly unaware that the hobby was still going and showed great interest in the workings of the special event station and the latest developments in radio and the hobby. SKARS have held several special event stations in the past but this was probably the most prodigious location for this relatively small club to undertake. Trying to be efficient and engaging while at the same time not affecting the aesthetics of this historic location for visitors was paramount. 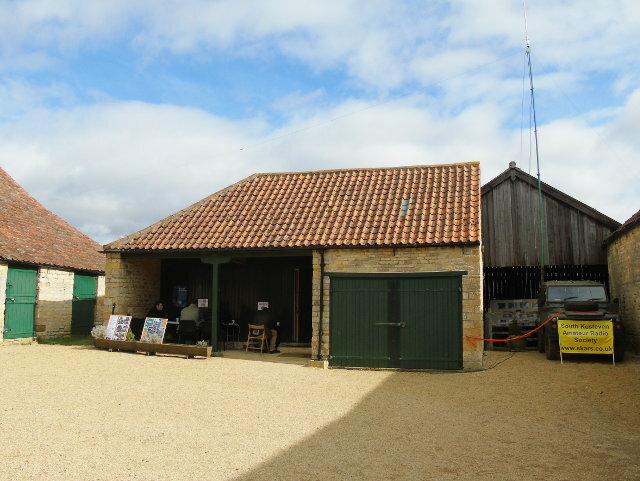 SKARS are indebted to the staff at Woolsthorpe Manor and the National Trust for allowing us to operate, they are keen to promote science at Woolsthorpe Manor and to shake off the unfair old fashioned notion of dusty old houses and stately homes. Some could say the same thing about amateur radio today? South Kesteven ARS would like to say thank you to the National Trust, the visitors who came to meet us and our members that gave up their time to visit and support us. It was a very positive and enjoyable weekend which we hope it will be a regular event in the future.